When we are selling a car on our own we think it’s a difficult process and tend to make many tiny mistakes. Listed below are some common 10 common sense tips which we tend to forget. 1. Doing the homework — Before selling your car you need to do a thorough study about your vehicle. Go to the car valuation websites and see the present value and depreciation rate of the vehicle. You get the present picture well and then accordingly you set the price. 2. The book value actually has no value – The book value has no value because the price is set according to cultures and the overall economic condition of the city/ state. The price differs from place to place. 3. Getting the vehicle history –This is very important. As you decide to sell off your vehicle you must keep all the papers of the vehicle ready so that you can hand it over to the next owner. 4. Getting the vehicle service history – Along with the vehicle history the service history is equally important. This will be equally needed by the buyer so the seller must provide these papers. 5. To detail the car thoroughly – This is also another important step. You should empty your car, remove all your belongings from it and wash it thoroughly. Not only the exteriors but also the interiors and if needed repaint it and buy new tyres. 6. Take several pictures of the vehicle with a good quality camera – This is another common sense idea which people tend to neglect. A photograph of a good quality camera has better impact on the eyes of the buyer than a photograph clicked in the cell phone. The initial attraction is needed so click the photos with a camera which produces good quality images. 7. Describe the vehicle in complete detail – When you are putting up an advertisement make sure to describe all the details. If the car has been repainted then do mention. Provide all the details in the description and leave no room for queries. 8. Be easy to reach and communicate – In the description do drop in your phone number and email and check regularly if any buyer has contacted or not. Do respond to the messages of the buyer nicely and always be easy to reach for the buyer. 9. Leave the buyer alone – When the buyer comes to visit and see the car, do give him some alone time with the car itself. He can look felly and judge minutely whether he will buy the car or not. 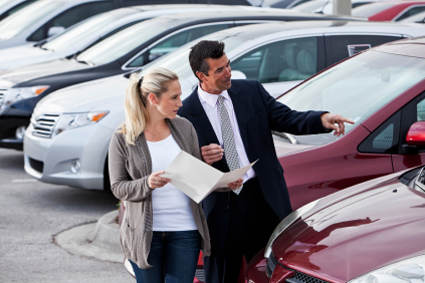 Many a times in front of the seller the buyers can’t investigate well about the car. 10. Do not buckle on the price – If you know your vehicle is in a good condition then you will have several prospective buyers. The buyer who is not willing to pay the price you want even after negotiating, let the buyer go as you will get other buyers who will pay the price you want.